Excel Academy, India’s No.1 foreign language classes offers courses in reading, writing and conversational courses in 10 different foreign languages. A leading corporate training academy having centers at Andheri and Malad. 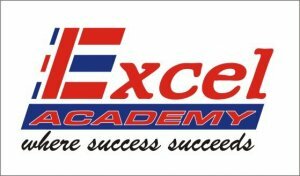 Excel academy trains an average of 80 students per month. We offer 100% placement services to our students. Languages taught at the institute are French, Spanish, German , Arabic, Chinese, Japanese, Russian, Italian, Portuguese, Persian . Team of highly motivated , experienced and dedicated faculties to deliver the best. Group batches limited between four to six for personalized attention. Individual personalized courses ( one to one). Normal and fast track batches. Professionally designed Course materials with audio sessions. A/c class rooms to provide you a better learning environment. We offer courses in conversational , reading , writing and translational levels. for further details kindly feel free to call. alternatively you can also speak to our counsellors. you are also welcome to our andheri centre.